We only show testimonials that have been sent to us by text message or emails,we have proof of all emails and text messages. 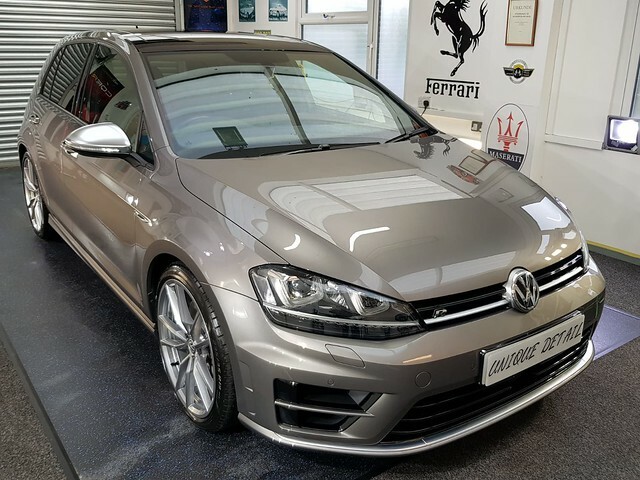 Just like to say thanks Andy for the work you did on my Golf R very professional from start to finish and on what products to use going forward.Definitely use Unique Detail on my next car. Andy and his son are true superstars!! Thanks Andy – Unique Detail. Please feel free to use this thank you note as a testimonial. 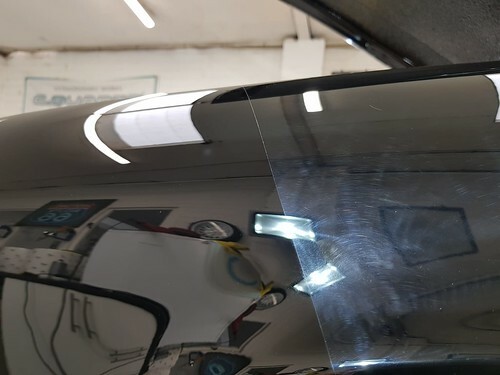 Selecting someone to detail your car is not easy as you need to trust that person, that they have the facilities, equipment, insurance and security they need and that they will do a good job. In the absence of a direct recommendation I chose your service based on the fact that you are accredited to apply Finest Reserve by Carpro. That accreditation can be confirmed by visiting the Carpro website, so whilst testimonials can be faked that endorsement cannot. 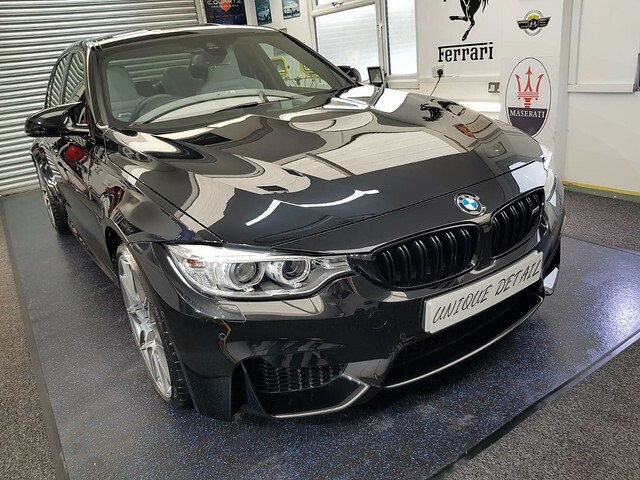 I collected my beautiful, black competition M3 on 22-Dec-18 and was very pleased with your excellent service, professionalism and quality of results. I always consider the acid test to be whether you would do the same thing again with the benefit of hindsight and I would. No doubt I will be back in future. I would also be happy to recommend Unique Detail to anyone who wanted to get their car detailed and protected. But if you are sceptical of testimonials (as I am) then you don’t need to take my word for it – check out the Carpro website, the number of accredited people in the UK and the requirements for achieving that status. 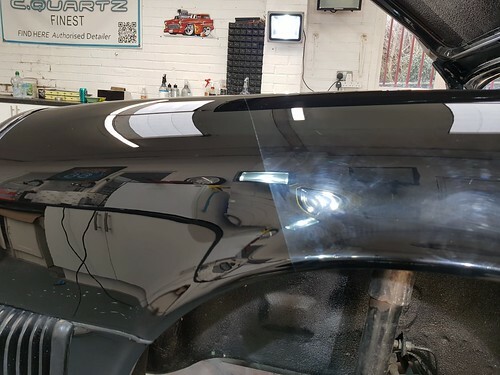 You don’t need to select Carpro products but if you select Unique Detail you will get a quality result. I know you haven’t asked for a testimonial and judging by what I’ve read on your website, you don’t need any more, because everything that needs to be said about your professionalism, incredible skill and gentle approach to vehicles left in your care, has already been said and will continue to be mentioned as the lucky owners grab the keys out of your hands and drive off. Having said that, I still want to express my sincere gratitude for everything you did for my teenage car that’s turning into an adult next year. I mistakenly thought by washing and waxing regularly, it would be in great condition. How wrong was I? You have taken a seventeen year old motor and made it look like it just came off the production line. I don’t know how you did it and if there was ever a time I could believe in magic, it would be now! Seriously Andy (and son), thank you so much and I look forward to bringing the family bus and my toy to you as soon as they arrive. Please feel free to give my number, my email, my address, my credit card details (maybe not the last one) to anyone considering Unique Detail. I will be happy to answer any questions they may have regarding your service and the results. Andy, Merry Xmas and I shall speak with you early next year! Due to the amazing work you carried on both my wife’s Mercedes and brothers Audi, there was no hesitation in bringing my new car to you. The attention to detail that you treated my car with was the reason of why you get my repeat custom. The advice on the how to maintain the vehicle has again been second to none. The car looks not only stunning due to your efforts, but far exceeds the finish that I received from the dealership. Will look forward to seeing you when we change cars. Anyone who is looking to get a professional detailer to bring your car to it’s optimum finish, then look no further. One to one service from booking to result. Highly recommend. Thanks for the links – the car looks amazing, I can’t believe how much you were able to improve it given it’s a new car. 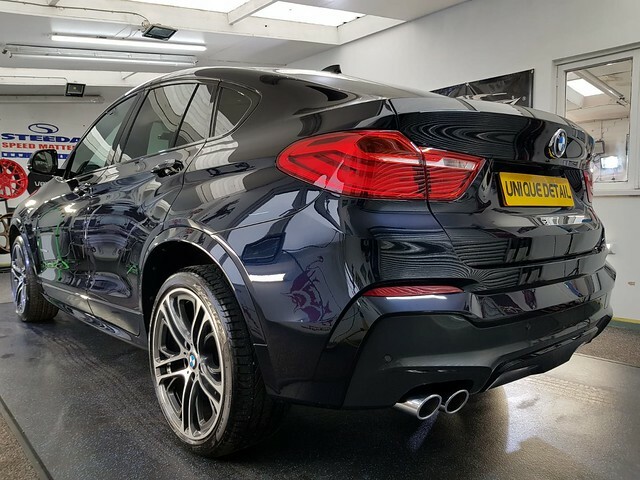 I’m absolutely delighted with the service you’ve given – from the initial advice pre-booking, to the way you treated my car as if it were your own, right through to the tips on how I can look after it going forward. The results have been spectacular, I can’t rate the experience highly enough – you’ll definitely be seeing me again. Just wanted to say thank you for the wonderful job you have done to my car. I have had nothing but compliments since you finished the work and you have made a 15year old car look better than new. I still can’t believe how it looks. I will most certainly be recommending you to anyone who wants a proper job done. I have in the past used several detailers in London and although I was not unhappy with the work I some how felt the cost out weighed the results, so this time I decided to look at other detailers which is when I stumbled accross Andy at unique detail, although the drive was almost an hour to Toddington in Dunstable it was definetly the right decision and I am more than happy with the results Andy has acheived. everything from start to finish has been dealt with a very professional aproach, the drop off to Harlington station and collection on my return was something my local dealership would not even offer me. Thanks once again Andy Im simply blown away with the end results and will definetly be back again. I just wanted to say a huge thanks for the time, effort and patience you put in to getting my Audi TT into this beautiful condition. When I walked in to your showroom and saw it for the first time I was totally amazed at the transformation, your skill and craftsmanship are evident for all to see. The whole experience from our first meeting to me collecting the car was conducted by you in a friendly and professional manner, your treat your customers with great care and attention. I have already recommended you to a number of friends and colleagues, and I would have no hesitation in recommending you to anyone. I will be back to see you next year so that you can add a few more touches of perfection to the car. ‘The money I have spent getting Andy to improve my car has undoubtedly been the best investment I have made to-date. He is highly professional and honest and always seeks to understand what result you desire before recommending the most appropriate action within your budget. If you are considering improving your car’s appearance, stop reading this and pick up the phone to Andy right now! You will be delighted by the results but, more than that, you’ll go away happy that true pros and gents like Andy still exist. I recommend Unique Detail without hesitation to anyone who wants to get the most out of their pride and joy. 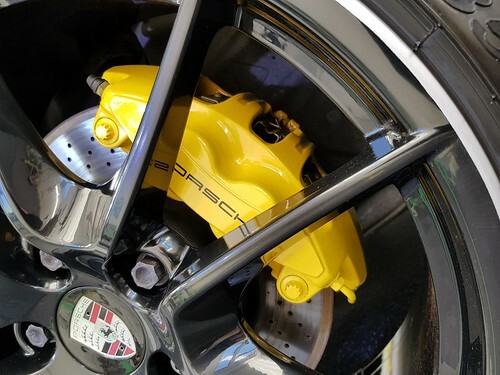 Just a quick note to say thank you for the work you have done in respraying my Porsche calipers, very impressive work to say the least, and I will be highly recommending you down at the local club. I am writing to thank you for the amazing job you have done on the RS last week. The attention to detail and finish is the best I have ever seen. Your professionalism in the way you treat the car and your customers is absolutely second to none. I would thoroughly recommend your services to anyone. Once again many thanks for a fantastic job, and I wish you all the success for you and your business in the future. Just to say thank you for your hard work correcting the paint on my Bmw E46 M3. The results speak for themselves. Truly a remarkable transformation, everyone that saw it was amazed. Seeing it for the first time since dropping it off I was lost for words. Thanks again you have been a true gent and very easy to talk with. More than happy with the service received from andy at unique detail,due to lack of time on my behalf I sadly neglected my gtr by using the local hand car wash which i would not have normally done. 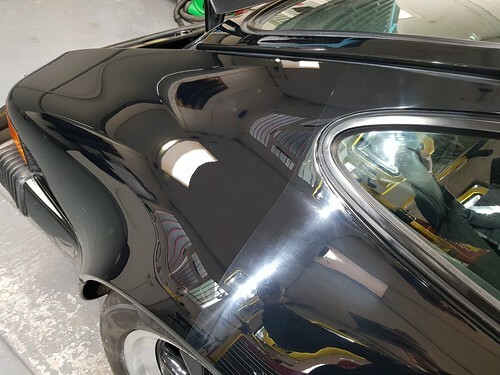 The car was booked in for a complete week receiving a paint correction with wheels and calipers bieng refurbished,I could have gone for a lower quote but glad I did not,the quality of work was faultless from wheel and hub refurbs to the paint on the car bieng faultless. Drop off and pickup to the railway station was much appreciated at such short notice Andy,thankyou once again. First class service and highly recomended,i would not hesitate to use Andy or his services again,a polite and professional service from beginning to end with outstanding results. Thanks so much for the work you did on our Cayman. You’ve made a six year old car look far younger, I wouldn’t have thought it possible to get such a mirror shine! Really happy with the service from you throughout, and I would not hesitate to recommend you and your work. I picked my car up from Andy over 3 week ago, and I am still driving around with a smile on my face! The car has come up like new. The Lappis blue looks stunning. I can’t believe the care and attention he gives to the car. He takes a real pride in restoring the car and sending it out like new. Great attention to detail. Highly recommended! Just like to re-iterate…a big thank you for my Maserati GTS transformation. It definitely brought out the showroom condition and memories when I first purchased it. Not sure if it was the sunny day or the shining car or both……but had a lots and lots of positive looks from various drivers when driving on the M1 today. Will recommend you to anyone whose car requires pampering ! I will definitely come and see you again in August for the routine maintenance and the hub painting etc. 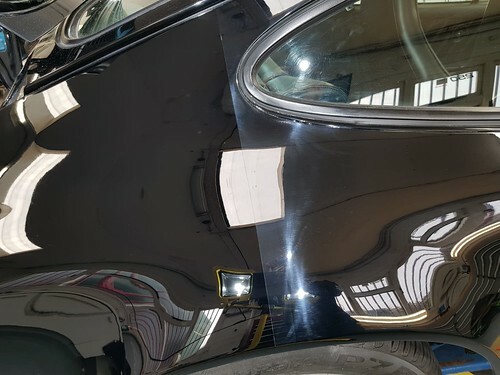 Hi Andy thanks very much for the work on my Vantage your attention to detail is second to none, a truly awesome finish would highly recommend you and will be using you again in the future. Andy – I wanted to say thank you for making my Maserati look so perfect. 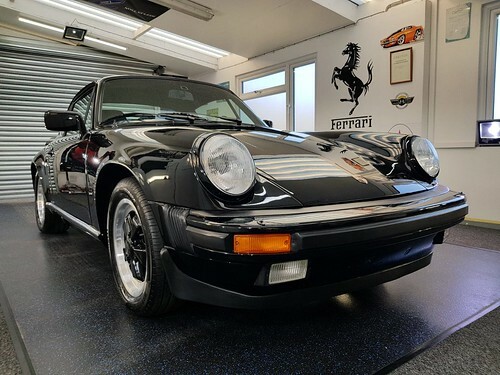 Really a stunning and exceptionally thorough job.Surprising how new cars can come from dealers looking so poor.Very very happy and my other cars will be coming your way soon! Thank you for the fantastic job you did on my Range Rover it looks better than it did when I bought it, you really know what you are doing got to say what you have done to the brake callipers is just unbelievable and I will be bringing the wife’s new car to you soon, I will be highly recommending you to all my friends and anyone who asks where I got my car detailed. What can I say about Andy and the service he offers, well it’s top notch, 100%. After having my car dropped off at his place I traveled half way around the world to see what he had done to it. His attention to detail was 1st class with him noticing defects that I couldn’t even see, and pointing out scratches that I had tried to hide. 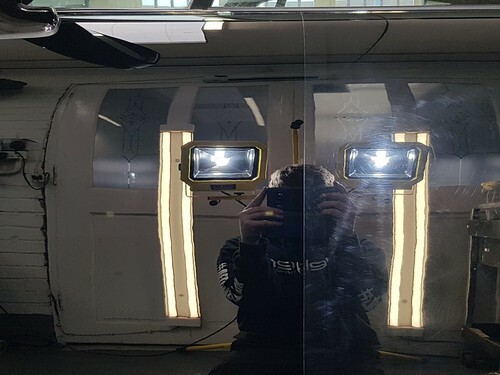 After a week it was done and I was blown away, the car was like a giant mirror. I couldn’t express how good it looked, the photos don’t do it justice. 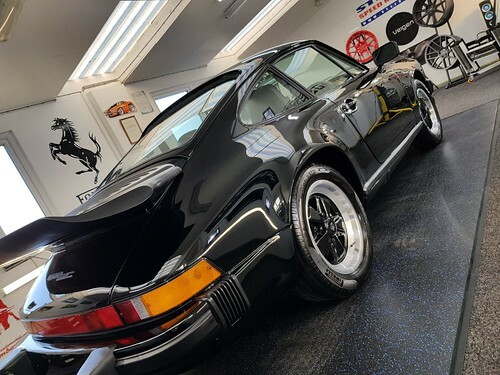 It was impeccable, the reflection was amazing, every inch of the car had Andys attention from under the exhaust to the carpet under the seats, It was immaculate. Even after a week of being in the rain and doing plenty of miles it still looked immaculate, the rain and dirt just washed off the car without any trace at all. Andy himself is a great guy that treats any car like its his own, he spends hours checking it for every defect that he can correct, and making sure it’s perfect, one of the most honest guys I have met since starting out on my car project and I look forward to sending it to him again and again. Andy is a genius he transformed my Lamborghini Gallardo from what I thought was well maintained (polished regularly by myself ) to a brand new looking car. I couldn’t believe the difference. Andy did a full paint correction detail as well as respraying the calipers and getting the exact logo too. Has excellent communication, very polite and professional and does his work with a passion and is a perfectionist. You would be crazy not to use him! Thanks for everything Andy. Will highly recommend you and will definitely be doing business from here onwards. I would not use anyone else on my cars now!!!! to be honest the standards and professionalism of Andys work is second to none,Keep up with the superb work Andy. Thanks Andy, the car looks better than I imagined…well Impressed to say the least. Your attitude and professionalism have impressed us from day 1. The fact that you do not provide a generic quote, insisting on seeing and assessing the car first was the first positive step. You then agreed to carry out the work between Christmas and New Year, fitting in with our preferred schedule. When I failed to complete some work on the car in time and had to call you on the evening before our 08.00 appointment time you were completely unphased, taking this disruption on your stride and rescheduling your work load to accommodate the delay. And all this without even a hint of complaint and with a positive and friendly approach. However all this did not seem important when you opened your workshop door and we saw the car after you had completed the work. 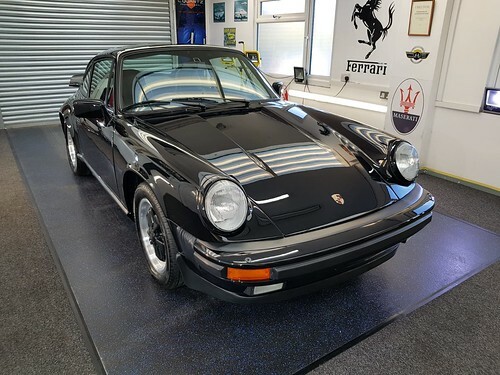 The car was black, in fact more black than I can ever recall it being; I had not realised how dull the paint had become and how the black had turned grey. The finish and shine are outstanding. The internal valet was finished to the same high level. Dee and I are very difficult to please when it comes to our cars and we were both delighted with your work. I would not hesitate to recommend you to anyone based on high quality work, a rarely found attitude to your customers, truly putting the customer first, and great value for money. Would you be able to send me a few of the before and after pictures; I would like to show them to some friends and also post them on a couple of forums that I am active on. Thanks again for the effort put into my Mini the car looks amazing now,its almost to good for a 10 year old car! the results and the amount of work you put in entirely justify the cost,it was also great to deal with someone that is punctual and does not over promise and under deliver,I would certainly recommend your services to anyone looking to give their car a new lease on life. hopefully I will see you once London covers the car in soot again. Andy, I just want to say what a brilliant job you have done on my new Z4. BMW dealer could not get anywhere near this , it is perfect. Even the doors open with ease as you seem to have worked your magic into every nook and cranny. I will be recommending you to everyone I know and will be back again when my Z4 needs a refresher. Many thanks for the time taken to deal with the problems caused by bird lime deposits on my car. I am very pleased with the professional finish and would certainly recommend your services. Well what can I say? I have said most of what I thought when I left your facility today. However, when driving back home in my Mini One the looks I received from people passing or spoke to me once home certainly endorsed my perception of a job well done. You obviously know your profession inside out and took the time to talk me through the whole process of the work to be conducted. 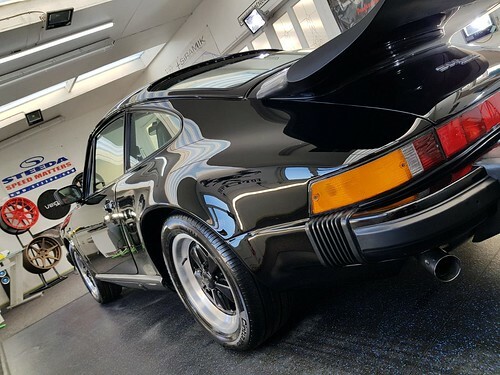 The quality of products used, subsequently explained, and the time taken to bring my car “back to life” now means that as a company vehicle I run for my business it now projects my trade as clean and crisp organisation when meeting customers and such like. I have another “play car” for my own private use and value its heritage and prestige and because of the outstanding work you carried out today on my Mini will not hesitate to contact you again and arrange for this car to be assessed and detailed by you. I will have no hesitation in recommending Unique Detail to friends and colleagues who value “good old fashioned quality service at the right cost”. Once again many thanks for your attention to detail and keep up the good work. Many thanks, the car is spot on Im well impressed!! you came recommended and i will be recommending you my self. Thank you for the excellent job on my Audi A4 i must admit the car was not in the best of order,but you have really turned the car around I cant believe how bright the car looks now,expect a call from my husband he could not believe it when he came home from work. 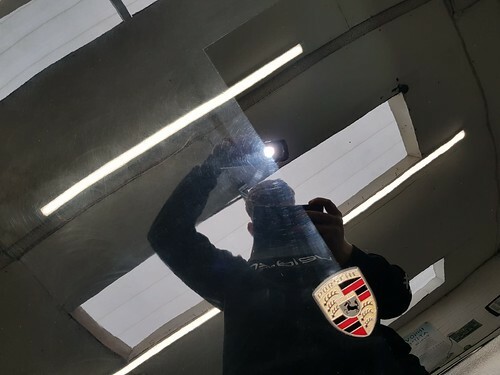 Many thanks to Andy and John from Unique Detail,my porsche 996 turbo recieved an enhancement detail today and looks absolutely fantastic now,the paintwork looks like a black mirror finish! The difference between before and after is really amazing.I will be using you guys again!Highly recommended. Thanks very much for the work that you carried out on my Audi TT.After me trying to save a few pounds and someone leaving the paintwork in a complete mess,the old adage of you get what you pay for springs to mind.A great service and meticullas attention to detail I will defenatly be using your services again. Andy, thank you so much for transforming the paint on my 1996 Saleen Mustang I took the car to Damn Yankees car show on Sunday and there were no end of people commenting on the paint work, it looks fantastic in the sun!! I will be recommending you to fellow mustang owners on the mustang owners club of great briitain. London, Dunstable, Ampthill, Flitwick, Woburn, Woburn Sands, Milton Keynes, Leighton Buzzard, Harpenden, Luton and all surrounding villages.